If you think you are too old to start again or why bother, I say ‘you are too young not to start again’. After struggling with my weight since I was a teenager and trying everything – Slimfast, Weight Watchers, going to the gym, I was a human yo-yo. I would lose a little and then gain more. In July 2015, after watching my husband Dave lose weight, taking up running, joining My Fitness Pal and getting off his diabetes meds, I decided to join him on our health journey. I joined MFP, joined and went to the gym regularly and watched what I ate and took my Peak Performance Packs of vitamins and supplements. In one year, I lost 75 lbs and went down 5 pant sizes! I feel great and have more energy! The point I am trying to make is that it’s never too late! 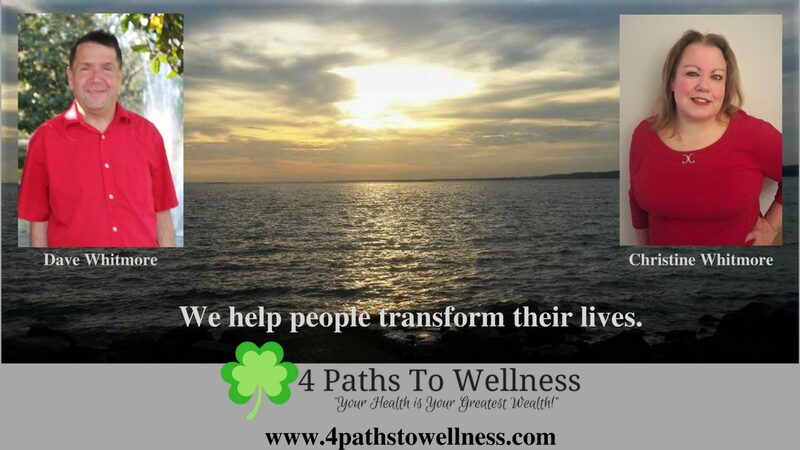 I started my health journey at the age of 47. I am now 50 and feel and look better than I did at 30 and 40. The journey never ends. Since I have been stuck at the same weight for a year, two weeks ago I started a 6 week plan to re start my metabolism and drastically reduce carbs and sugar. I can’t wait to weigh and measure myself tomorrow morning. I am feeling fabulous now! ***Edited on Friday, March 30th to add that in the last two weeks on my new weight loss plan, I lost a total of 4.2 lbs and a total of 8 1/4 inches! Yes, feeling like I am on fire! Diet Is A Four Letter Word! Diets only work when you are on them. There’s a reason diet is a four letter word. When you go on a diet you are more focused on the foods you “can’t” have. So you eat salads for as long as you can until you’ve reached your goal weight or, more likely, you just can’t take it any more. Then you go back to your old eating habits. Which…. Is the reason you gained weight in the first place. This is the essence of yo-yo dieting. Going back and forth between going on a diet and your old eating habits. Anyone can lose weight. It’s keeping the weight off that’s the real trick. An easier way around the problem is to make a simple lifestyle change. Portion control or counting calories through an app like @MyFitnesspal can make a huge help. Many people think counting calories is obsessive, unhealthy or too hard. The truth is a repeated cycle of weight gain and dieting is much more unhealthy and harder. Through MyFitnesspal, I can eat what ever I want. It’s all about portion control and exercise. Because of this I have maintained my weightloss for two years with no sign of going back. But exercise isn’t just about being able to eat more food. Exercise gives you a healthier, fitter body. Remember: you lose lbs in the kitchen and you lose inches in the gym or on the road depending on what exercise you choose to do. What ever your exercise of choice is, make it something you enjoy. Now you’ll never have to “go on a diet” again! The scale lies! When you step on a scale it throws out a number and says you weigh this much. But that doesn’t tell the full story. If you ate something high in sodium the night before, or if you worked out the day before your body could be retaining extra water weight. There’s nothing more demoralizing than stepping on the scale and seeing you’ve gained anything from a pound to fi’ve pounds. Especially when you know you did everything right. To avoid burn out look for those non-scales victories. The extra energy you’re feeling. The way your clothes fit better. Dropping a pant size gives you a huge boost. If you’re just starting out take lots of photos. Those “before” pics can give you a clear idea of how far you’re coming. Especially for those times when the scale refuses to budge. And take measurements. Waist. Chest, arm, leg measurements. Check them at the beginning of every month to truly see how far you have come. Why Not Just Start Today? We know that it isn’t easy to start something or if you start something to actually stick with it. Believe us, we know. We have been there, tried it and failed. Yes. Failed. So many times we would say, “oh, one day I will try again.” But, you know what? Don’t just try. Just start. Just do it. Grab a partner or friend and do this together. Stick with it. This isn’t lose 50 lbs in a month quickly. This is a health journey and it is for life. It doesn’t matter when you start, it matters that you do. Remember, the years will be passing by. The question is: will you be healthier in five years or at the same weight and fitness level that you are now, (or worse)? We are continuing on our health journey and would love to take you with us! I Am Proud Of Me! This is a big moment for me. This is how proud I am of myself. Yesterday, I bought a new bathing suit. I haven’t bought one in about 10 years and the last time I wore one was about 5 years ago. I would never like showing a photo of myself in one. Of course, it would be a one piece with the ‘skirt like’ bottom. Yesterday, I bought a two piece. Ok, it isn’t a bikini and it has the ‘skirt like’ bottom. But, today, I am baring my soul because I took a photo, (actually to show my mom on Sunday), and compared it to the old me. I know I still have more to lose, but I am proud of myself that I did lose 75 lbs and went down 5 pant sizes. I am proud of me. I know many of you have been following our journey into health. Especially Dave’s personal journey to losing weight, getting fit, taking up running and getting off his diabetes and heart medications. I thought that it is time I finally wrote from my own perspective. Last July, I’d just about had it and decided to lose weight and get fit at age 47! I know that many people would agree with this. Heck, so do I! Sure, I have struggled with my weight since before time, (well if it *was* before time I would weigh nothing!) Ok, so it was as far as I can remember well into my teen years! Fast forward to last July. One day I will write a bit more about my struggles and life. Now, I am very happily married to Dave, for nearly eleven years. In the last year I have seen him take real charge of his health and fitness, kicking his diabetic and heart medications to the curb! I have never been more proud of him than when he wrote his first novel. He has taken up running and uses My Fitness Pal to log everything. He has lost weight and is fit! I am watching him and loving what I see and more importantly, what our doctor said to him, ‘you do not need to take your diabetes and heart medications anymore!’ I want the doctor to tell me I don’t need to take my high blood pressure meds anymore. I want to look good and feel great! I want to join my wonderful husband in our journey together in getting healthy! It isn’t easy, (who said life is easy? ), but using a calorie tracker, My Fitness Pal, joining a gym, eating healthier, taking the Peak Performance Pack and of course with Dave by my side doing this with me, I have lost a total of 69 lbs and 8 inches from my waist and 6 inches from my hips. I am down 5 pant sizes. I am turning my fat into muscle and I feel great! For other people struggling with their weight, it is never too late to get started! I am willing to help anyone who asks. So, stay tuned. The best is yet to come!